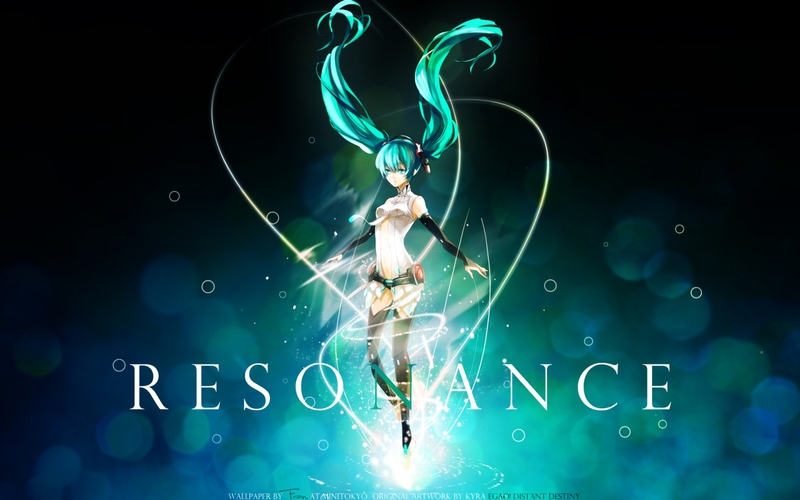 Well I decided to share another Hatsune Miku wallpaper to everyone! This is a nice dark wallpaper featuring Hatsune Miku in her Append form with bright sparkly light effects swirling around her. The words "Resonance" invoke feelings through her music and through the emotions that can be felt in her songs. I quite liked this wallpaper and I had it as my desktop background for a while.